When planning for the future of unified communications, most buyers and technology planners are not satisfied with predicting for the year, rather they want to know what the next decade will bring. And the coming decade is expected to be a big one for the world of communications and collaboration. 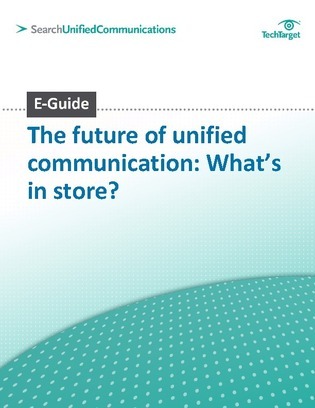 This expert E-Guide from SearchUnifiedCommunications.com takes a look at the next ten years and what you can expect from the world of communications and collaboration by the year 2020. Read now to learn how 2020 will usher in feature and function components for IT use, and how the cloud will be utilized more than ever before. By hitting submit I authorize Sprint to contact me by phone and/or email with offers and promotions.